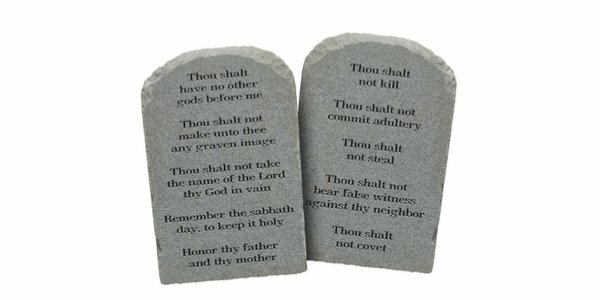 LAST year in the week after Easter we decided to look again at the Ten Commandments. We found Dennis Prager’s series on them both clear and masterful. A year on, during which we have seen nothing advocated by way of moral teaching either by the Government or the Church of England in face of an unprecedented wave of knife crime and savagery by young people, we thought it timely to run this series again. It is not unreasonable to suggest that schools would be far better to turn to the Ten Commandments – the best moral code ever – than to their patently failed self-obsessive PSHE curriculum and dangerous new gender teaching guidelines – that’s if they seriously want children to grow up to be truthful, strong, kind and safe. We start with a reminder for them of the First Statement given by God to Moses on the Mount: I am the Lord Your God. No document in history changed the world for the better as much as the Ten Commandments, is how Prager begins.